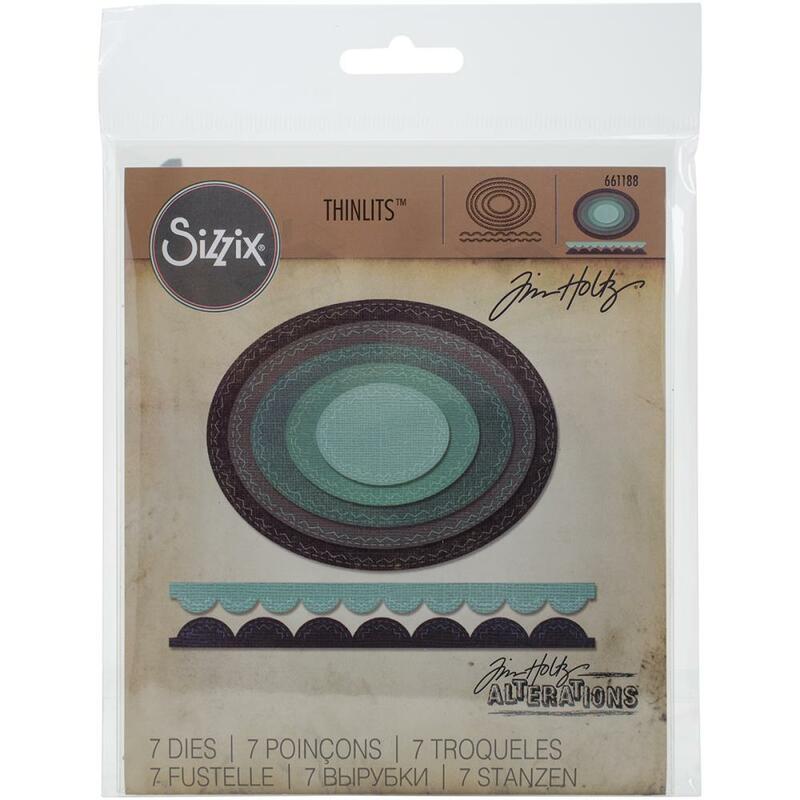 Sizzix-Thinlits Dies. Thinlit dies offer a variety of affordable solo options or multi die options. Thinlits are easy to use and are compact and portable. Compatible with most die-cutting machines (not included). This package contains seven dies. 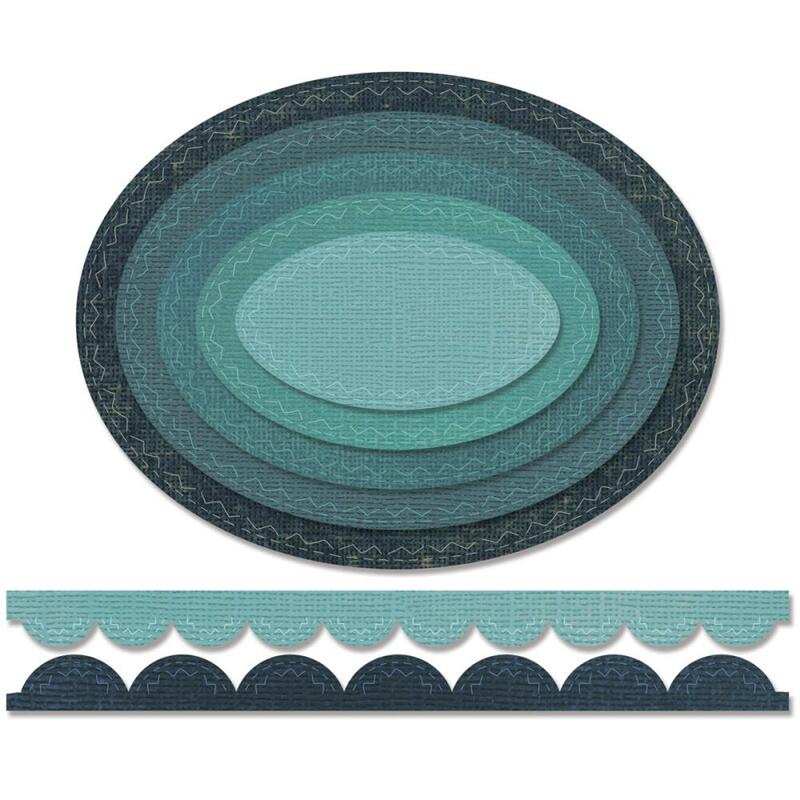 Design: Stitched Oval (measuring between 1-1/2x2 inches and 4x5-1/8 inches). Designer: Tim Holtz. Imported.